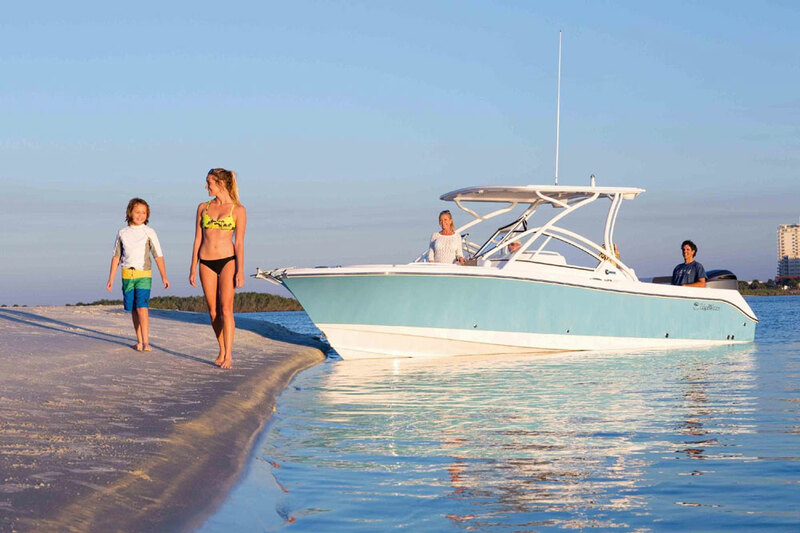 The new 2015 Edgewater 368CC is one hot ride - and by hot, we mean BURNING. Did you notice how tight that turn was? And how fast the throttle responded? Yeah, I thought so—few boats of this size offer performance at this level, and even fewer are competent fishing boats. 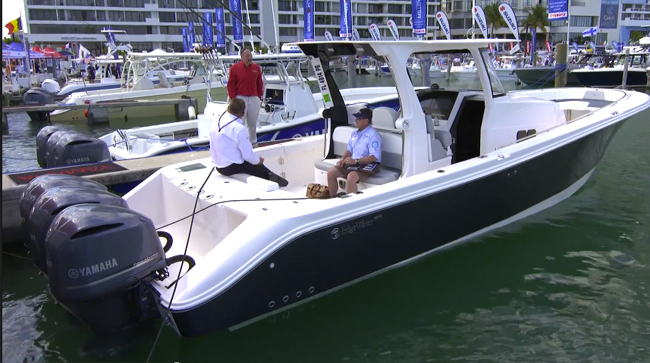 Interestingly, Edgewater applies this attitude throughout their line and even their diminutive boats, like the 170 Center Console, are a cut above the norm. 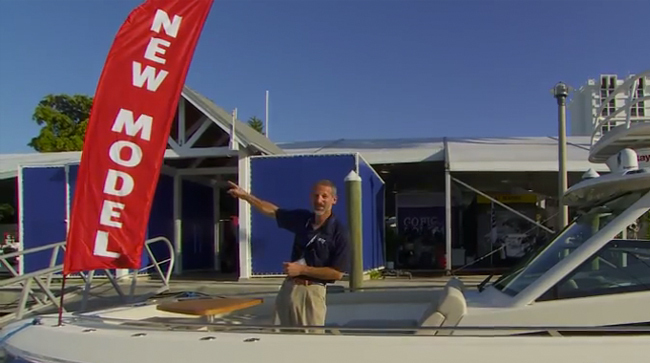 Now no boat is perfect, and yes, boats built to this level do cost significantly more than "entry level" boats. 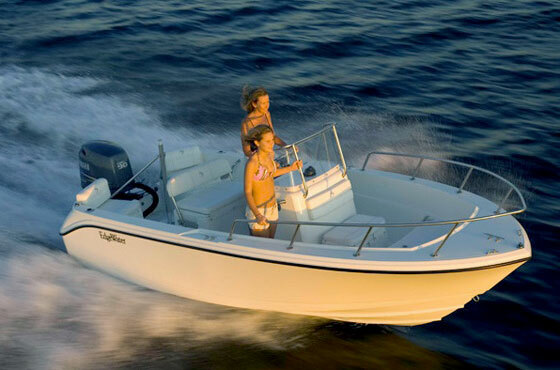 But this builder gives you a good idea of just what kind of fishboat you can get when you combine cutting-edge fiberglass technology with gobs of four-stroke horsepower. 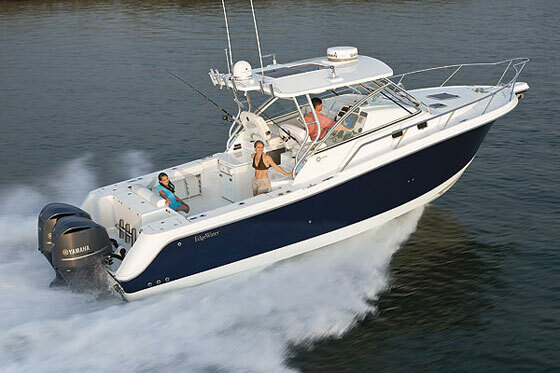 And yes, triple Yamaha F300 outboards does qualify as "gobs," even though comparatively speaking it isn't out of line with other boats of this nature. 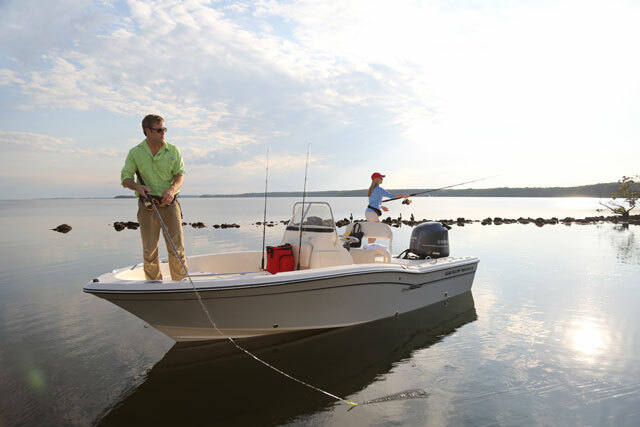 Consider the Boston Whaler 350 Outrage, for example, which shares the 368CC's max-horsepower rating of 900. 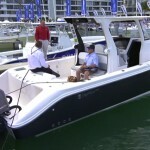 Or the Everglades 355T, which can handle up to 1,050 horses on the transom. Judging by today's standards, mounting a brace of triple F300 Yamahas back there is not going overboard. 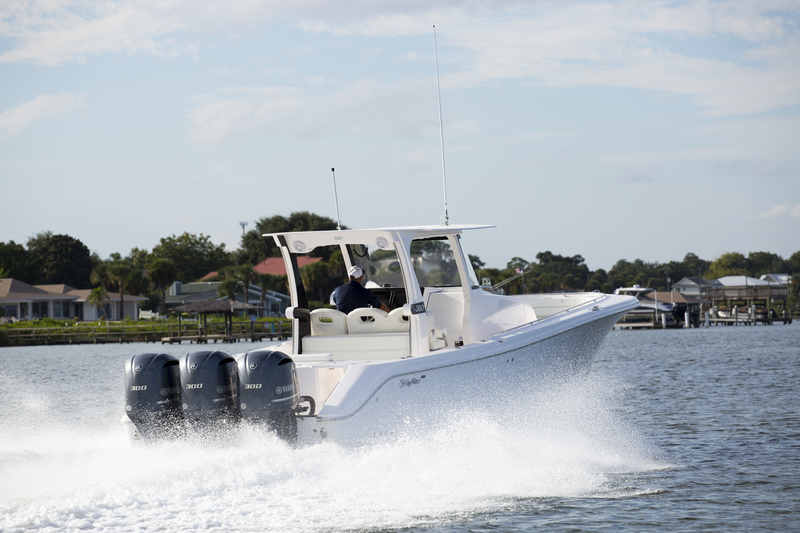 If you find the 368CC interesting, read Edgewater 368CC: Commanding Center Console to get a more in-depth look at this boat. 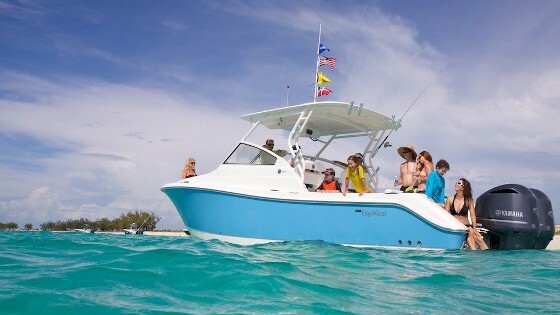 Then you can check out these Edgewater 368CC listings, or head over to Edgewater's web site for more info.